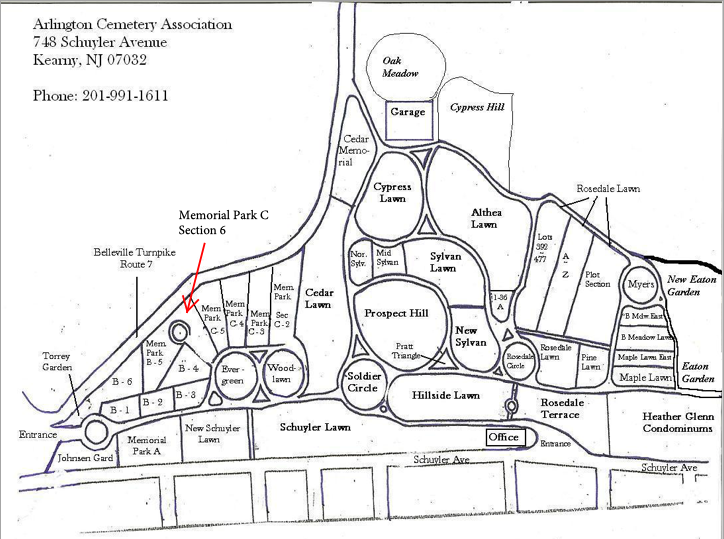 "Sadness flies away on the wings of time"
Cemetery Visitation Hours: Sunrise through Sunset, Approximately 7AM - 7PM Seven Days a Week via the Schuyler Avenue Entrance. The Belleville Turnpike (Route 7) Entrance is closed on weekdays by 3 PM, and closed all weekend. *Our office is closed to the public, we are strictly open to assist funeral directors/processions and monument dealers. If you wish to stop in to speak with our staff, you may schedule an appointment. Please note, the on-site staff is unable to take complaints, all complaints must be filed utilizing the complaint form. All other communication should be done via email or phone during our office hours.